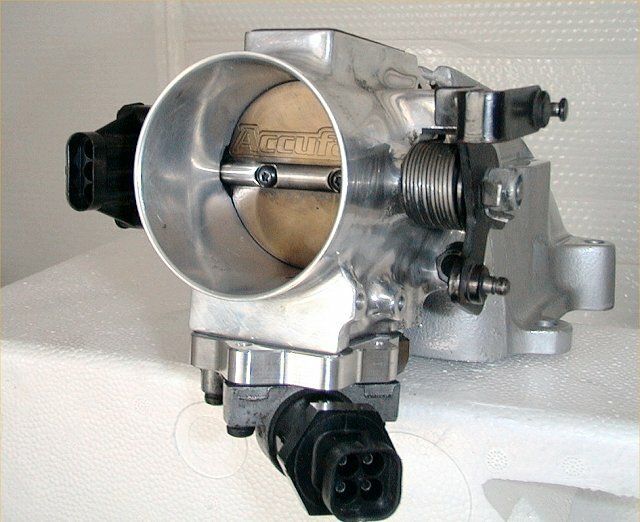 This is the AccuFab 65 mm throttle body off my GN. 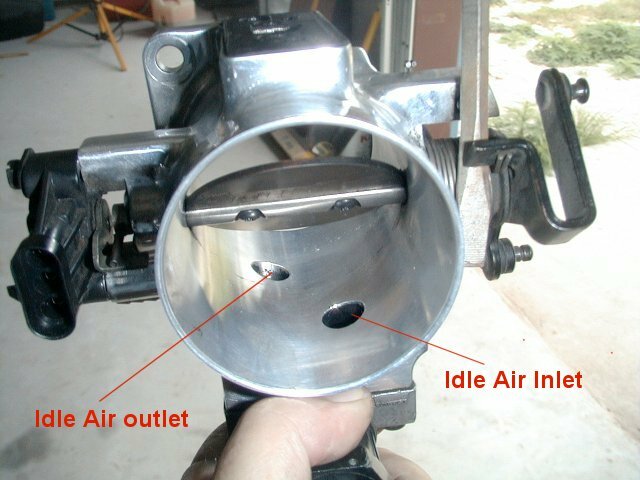 When the throttle blade is closed, idle air enters through the forward hole in front of the blade, is metered by the IAC solenoid, and enters the plenum via the outlet hole which is located behind the blade. 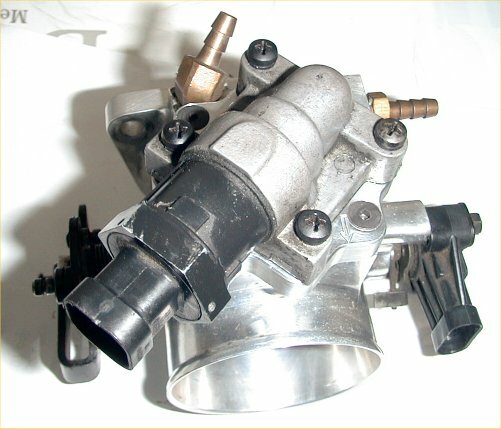 This IAC solenoid is controlled by the ECM and compensates for varying engine load at idle. Once off idle, the IAC has no affect on performance. 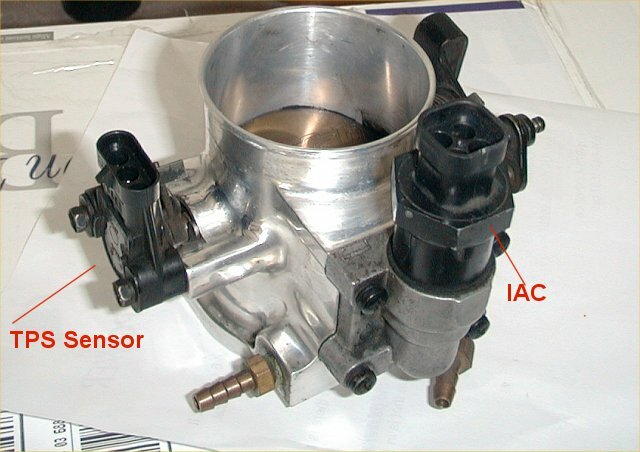 This view shows the normal mounting of the IAC solenoid and its housing. 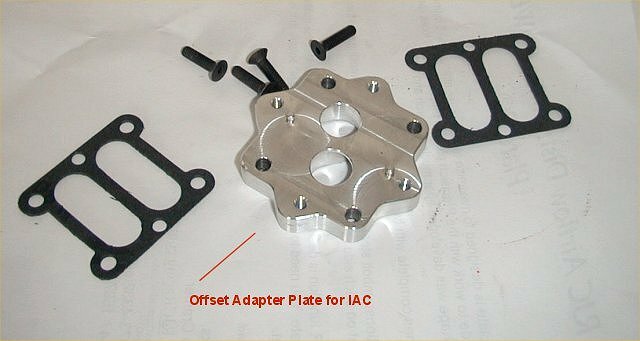 This is a picture of an IAC offset mounting adapter plate that is manufactured by Champion Racing Heads. I bought this from Jack Cotton some time ago. 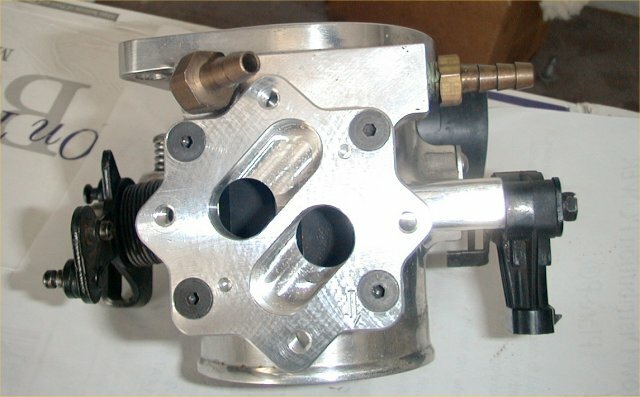 The IAC mounting housing is removed and this plate mounts to the bottom of the throttle body. Following the attachment of the adapter plate, the factory IAC housing is reattached to the bottom of the adapter. This shows the relocated IAC which now points 45 degs in the direction of the driver's side fender. This provides easier access to the the IAC harness connector and makes for more room to go to a larger maf pipe. The throttle body is now attached to the PTE plenum which will be installed with a matching Power Plate to the intake manifold.